Riding on diesel power, the all-new 2014 Honda City sedan is turning out to be the undisputed champion in India’s C-Segment sedan class. In March 2014, Honda Cars India managed to put 9,518 units of the City sedan in dealer stockyards. The car rolls out of Honda’s Greater Noida manufacturing facility and is heavily localized. 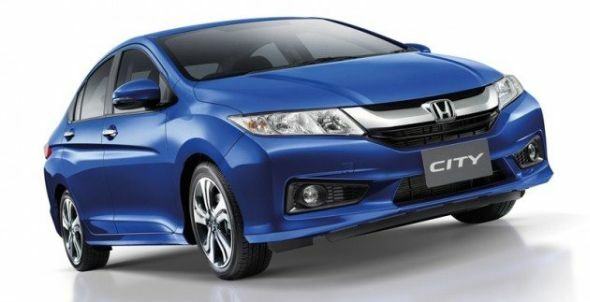 Strong sales of the 2014 City sedan has propelled Honda to its highest ever monthly sales figure of 18,426 units. The Amaze compact sedan has done well too, with 7,374 cars dispatched in March 2013. The Brio and the CR-V continue to remain marginal sellers though, with sales of 1,456 and 78 units respectively. Honda has lined up two other big volume products for the Indian car market in the form of the Mobilio MPV and the Jazz B+ segment premium hatchback. The Mobilio will be launched by the middle of the year while the Jazz B+ segment premium hatchback is likely to make its debut early next year. If Honda gets the pricing of the Mobilio and Jazz right, as it has done with the Amaze and the City, the Japanese car maker might get into a position to displace Mahindra & Mahindra as India’s third largest car maker, behind Maruti Suzuki and Hyundai. Coming back to the 2014 City, the bump up in sales may be attributed to Honda kick starting production and dispatch of the petrol variants of the car. The City is sold with petrol and turbo diesel engine options. The major sales pullers for this car are its diesel powered variants. The City Diesel is powered by a 1.5 liter i-DTEC turbo diesel motor that outputs 98.6 Bhp-200 Nm. This engine is mated to a 6 speed manual gearbox with an overdrive function that gives the car a mileage figure of 26 Kmpl. The Honda City Diesel’s mileage figure makes it the most fuel efficient car in the country. The petrol engined variant is powered by a 1.5 liter i-VTEC motor carried over from the previous generation model. The petrol motor outputs 117 Bhp-145 Nm and is mated to a 5 speed manual gearbox. The engine is also sold with a CVT automatic gearbox that gets 7 stepped ratios. Interestingly, the CVT variant of the City Petrol, with an ARAI certified 18 Kmpl is more fuel efficient than the manual gearbox equipped car that manages 17.8 Kmpl. The 2014 City sedan is larger than the model it replaces and the larger dimensions make it an ideal chauffeur driven car. Click here for CarToq’s video review of the 2014 City diesel sedan.